Craving something fried? This will satisfy your every crunchy need. The seasoning is perfect. This is now one of my FAVORITE keto recipes. I have to thank my son for trying this first and then sharing the recipe with me! Thank you Kyle! And just so you know, there is no “pork rind” taste! I feel that the seasoning counteracts the normal taste of the pork rinds. Preheat oven to 425′. 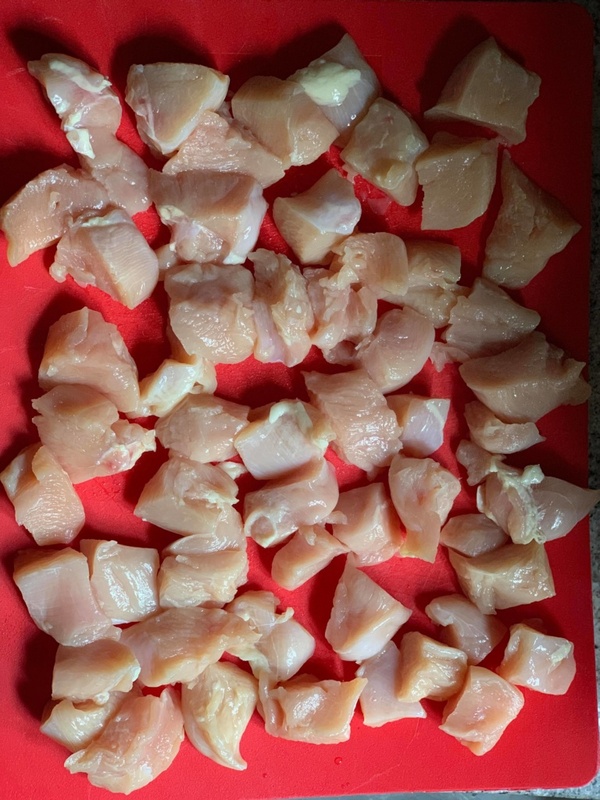 Cut the chicken into 1″ pieces, or into tenders. Ensure all pieces are dry. Lay chicken pieces in a single layer in a dish. 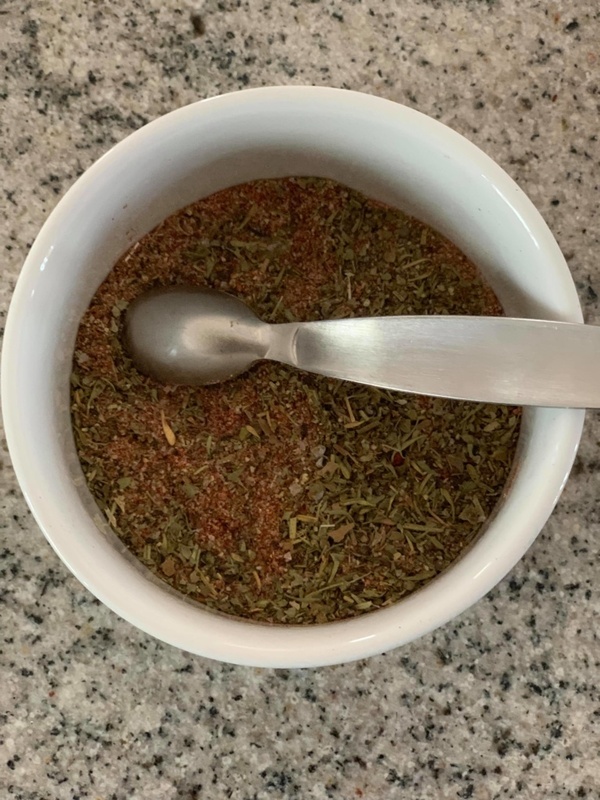 In a small bowl, mix up the seasonings- salt, black pepper, paprika, cayenne, garlic powder, and Italian seasoning. Mix and then sprinkle over chicken. Coat all pieces well. In a separate bowl, mix the egg, mayonnaise, and Dijon mustard. 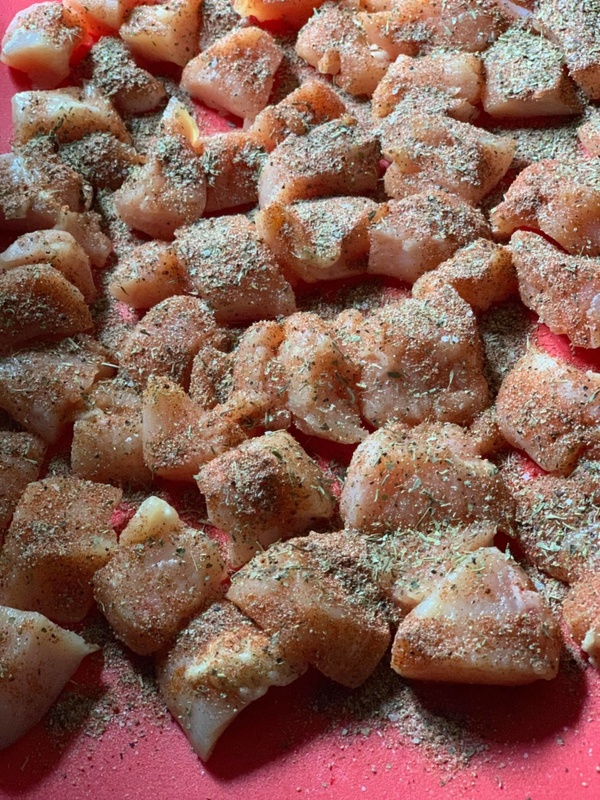 Dip each piece of chicken in the egg mixture, and then coat with the pork rinds. Lay the chicken on an oven safe rack over a pan (to catch crumbs). Bake for approx. 25 minutes, or until done. 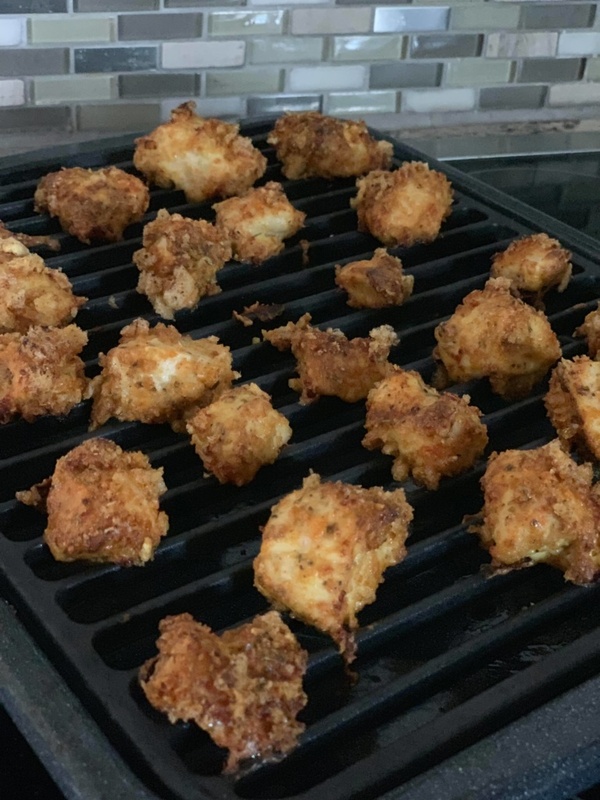 The original recipe called for 35 minutes, but my nuggets were done after 20-25 minutes and were perfectly juicy! Serve with a yummy side of ranch dressing! 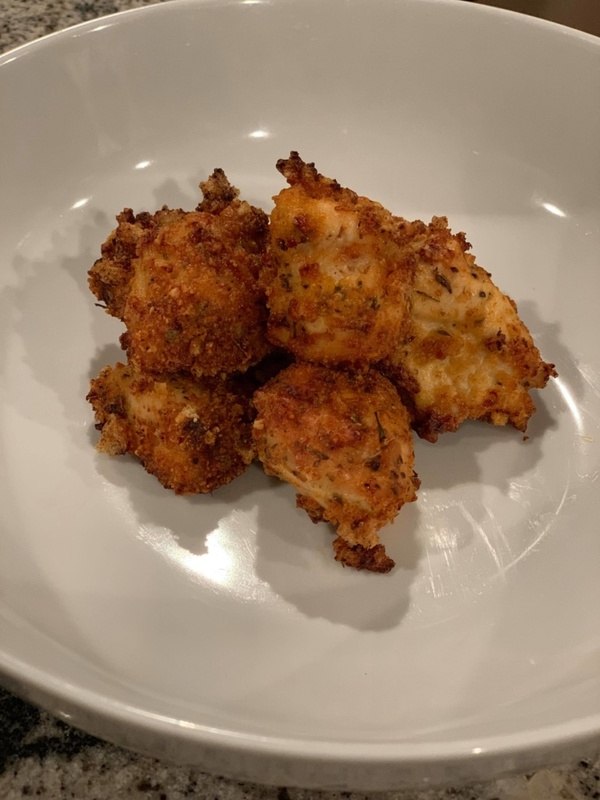 Share this delish recipe with your keto friends.